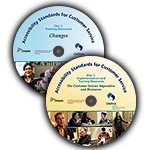 These model by-laws meet the Ontario Not-for-Profit Corporations Act and Housing Services Act requirements, including best practices. The by-laws are applicable to non-profit housing providers previously governed by the Ontario Corporations Act, which was replaced by the Not-for-Profit Corporations Act. Note: While these documents were prepared by a lawyer, they do not replace legal advice. This product is available electronically (PDF guide plus editable documents) and will be distributed by email upon purchase.